WASHINGTON — The U.S. House of Representatives advanced an effort on Thursday to overturn a law that some say would ban religious groups from living out their beliefs about fornication and abortion when it comes to their hiring and firing practices. As previously reported, last December, the D.C. City Council unanimously passed the Reproductive Health Non-Discrimination Amendment Act (RHNDA) of 2014, which amended a 1977 law and prohibits pro-life organizations from “discriminating” against employees who obtain abortions. Text of the bill stated that its purpose was to “ensure that individuals are protected from discrimination by an employer, employment agency, or labor organization based on an individual’s or dependent’s reproductive health decisions.” This would mean that faith-based organizations cannot fire an employee for having sexual relations outside of marriage or for obtaining an abortion, even if the lifestyle agreement and terms presented by the employer require adherence to biblical standards. Christian groups opposed the changes, with the organization Liberty Council writing to city council to outline its concerns, and Alliance Defending Freedom (ADF)—and a number of other organizations as co-signers—sending a letter to Congress to urge intervention. “The Reproductive Health Non-Discrimination Amendment Act of 2014 prevents religious institutions, other faith-based employers, and pro-life advocacy organizations from making employment decisions consistent with their sincerely held religious beliefs or their moral and ethical views about the sanctity of human life,” the ADF letter stated. The Act was signed into law in January by Mayor Muriel E. Bowser (D), and last month, Sens. Ted Cruz (R-Texas) and James Lankford (R-Okla.) introduced joint resolutions in the Senate, also known as disapproval resolutions, that would essentially void the measure. Rep. Diane Black (R-Tenn.) presented a similar resolution in the House. But Planned Parenthood pointed to the recent passage of state Religious Freedom Restoration Acts (RFRA), remarking that it doesn’t believe organizations and businesses should be able to practice religion in the workplace. 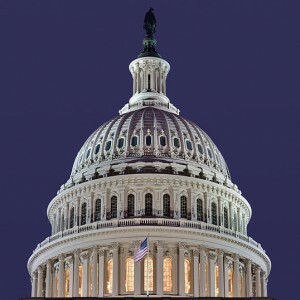 After the measure was approved by the House Oversight and Government Reform Committee last week, it moved on to the full House for a vote, where it passed mostly along party lines on Thursday 228-192. “[RHNDA] promotes intolerance of anyone who disagrees with the world view of the majority of the D.C. City Council,” added Rep. Virginia Foxx (N.C.), according to the Associated Press. “I stand here to defend the rights of religious institutions and pro-life companies to honor their faith and respect the sanctity of life,” declared Rep. Ann Wagner (R-Mo). The Senate has 30 days to pass the resolution, which then also must be signed by Barack Obama. The White House is already threatening to veto the measure. “This legislation would give employers cover to fire employees for the personal decisions they make about birth control and their reproductive health,” it said in a statement.